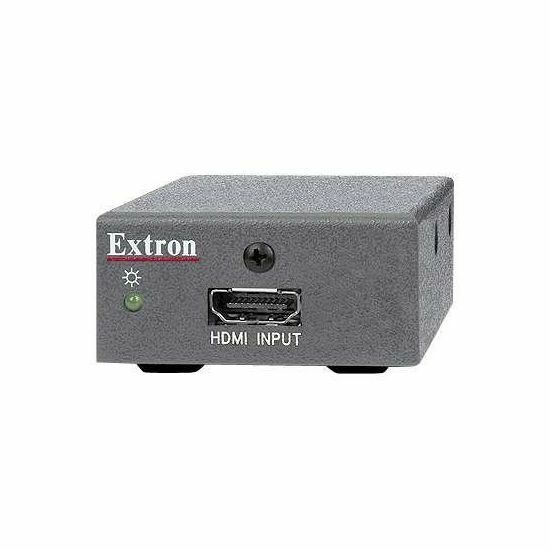 The Extron HDMI 101 Plus is an HDMI equalizer that offers a convenient, economical solution for extending HDMI signals. The HDMI 101 Plus automatically provides the necessary active equalization to ensure optimal image quality with HDTV signals and high resolution computer-video signals up to 1920 x 1200. The HDCP-compliant HDMI 101 Plus is ideal for permanent installations as well as temporary applications with long HDMI cable runs. 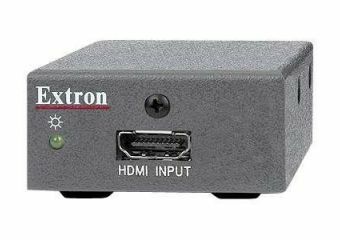 The HDMI 101 Plus compensates for poor source signals or low-quality cabling, providing a cost effective means for extending digital video, multi-channel audio, and control signals from HDMI-equipped devices. HDCP compliance ensures the long distance extension of HDCP-encrypted content from Blu-ray Disc players, DTV and cable tuners, DVRs, laptop computers, and other HDCP-enabled sources. The equalizer can be powered by the attached source device. This capability eliminates the need for an external power supply although an energy-efficient universal power supply ships with the unit. Use of the included power supply is recommended for longer cable runs and optimal signal integrity. An LED indicator provides a quick means of verifying power and signal presence from the source.